The hosts were very kind and helpful. They gave me a umbrella because it was raining heavily when I had to leave. We were welcomed with kindness and shown to a room at the back of the property that was comfortable and had everything we needed. 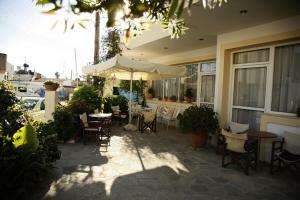 Our hostess recommended an excellent taverna in the town and breakfast the following morning was good. 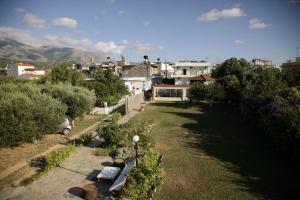 The location is not particularly exciting, but is a real Cretan town, not at all touristy, close to the mountains. 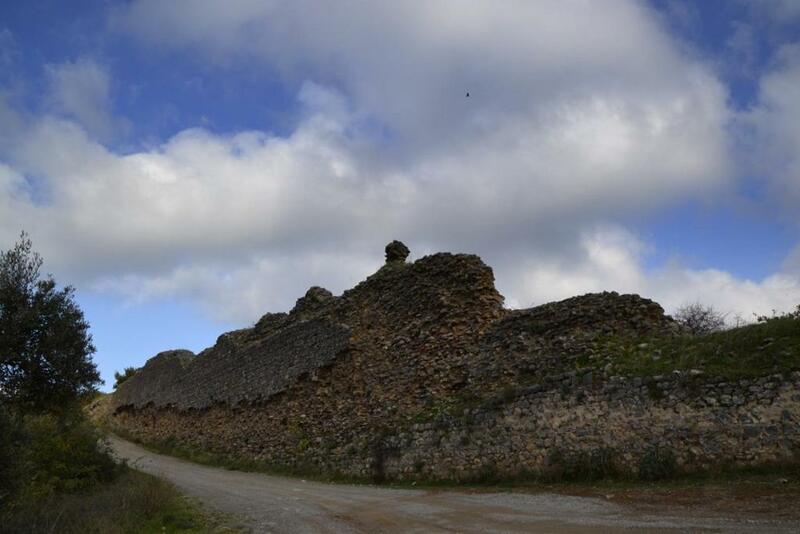 It suited us for our onward journey to the Lasithi Plateau. Very kind and helpful staff, they were willing to help us with anything. The village is nice and interesting with many nice taverns and nice temperatures with not so hot evenings. The hotel has an outdoor pool that is nice. Everything was perfectly clean. Everything was great, very friendly owners, treating guests like own family, really unique atmosphere. Room was cleaned every day, very nice swimming pool and pool bar. Quiet location, very good place to stay a bit longer and get rest from crowds of tourist on sea side. Good place to start one-day trips north, east or south Crete. Road network is good but sometimes it is easy to get lost, especially when using stupid navi. In Kastelli there are some nice places to eat or drink after all day so you can easily spend nice evening. Prices there are much lower than e.g. Plakias or Chania. Can't wait to come back! Very helpful and friendly staff,location ideal for event the following day. 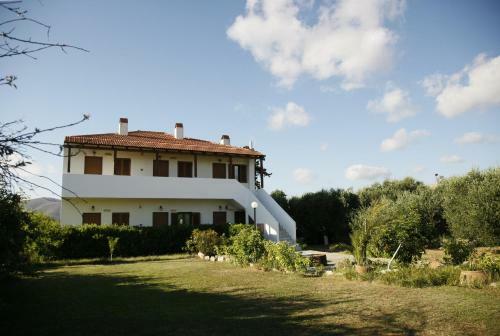 Right in the centre of a small town but with views onto surrounding mountains. Simple and comfortable twin rooms. The view from the balcony was lovely. The room was clean and a good size. The welcome that we got was very friendly. The pool was very nice with a shady snack bar for cold drinks on very hot days. It was really good value for money and Kastelli had some inexpensive eating places serving very good food. The surrounding villages made for interesting days out. Nice area. Breakfast "with soul", nothing extraordinary, but prepared with the individual note. Helpful personal. A good and safe parking. A good position to explore this part of Crete. Good vale for the money. 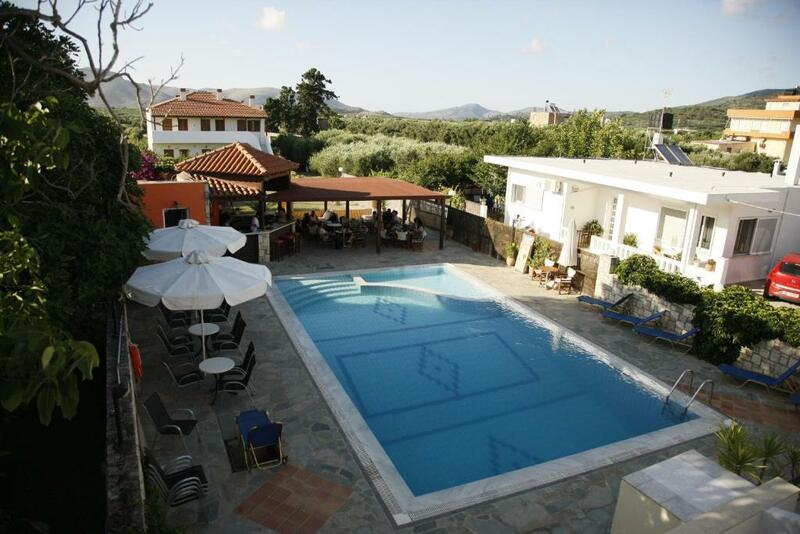 Lock in a great price for Kalliopi Hotel - rated 8.8 by recent guests. 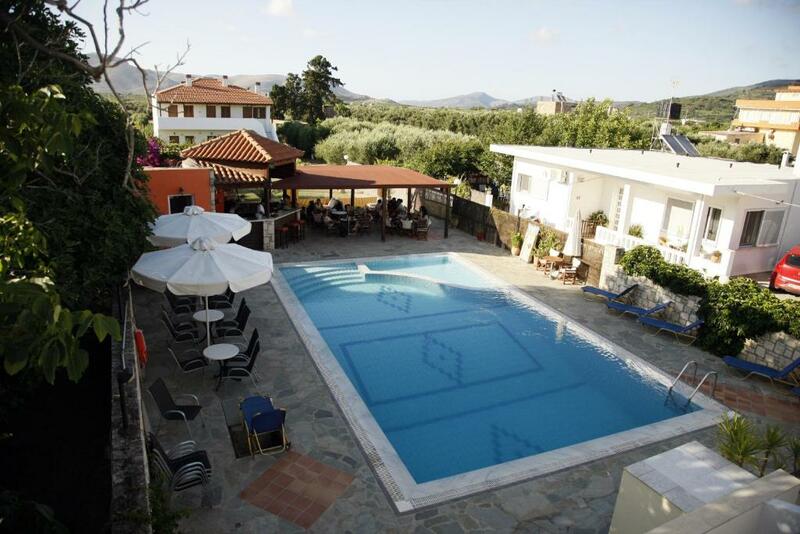 Kalliopi Hotel offers self-catering accommodation and a swimming pool set amidst a lovely garden in the area of Kasteli Pediados. It also includes a poolside bar and a restaurant. All rooms at Kalliopi enjoy free Wi-Fi access. They are air conditioned and come with a TV. All rooms also feature a living area and a private balcony. 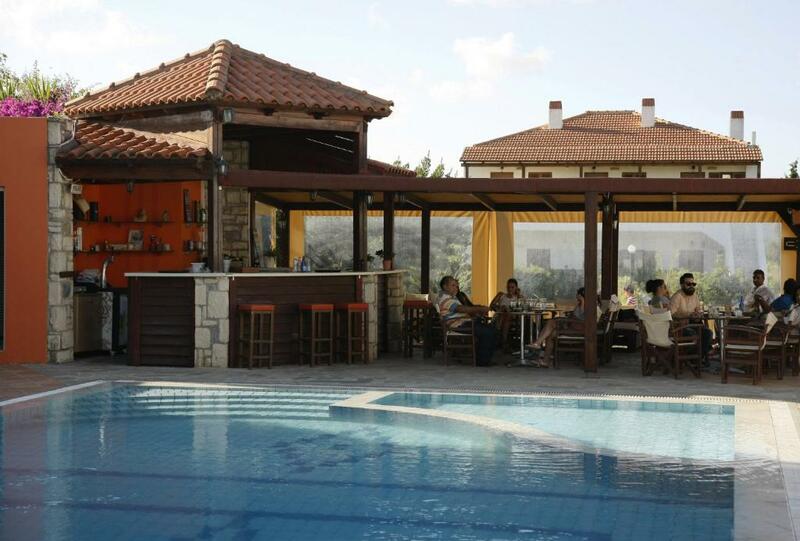 Guests can enjoy coffees, fresh juices and cocktails at the shaded seating area of the bar by the pool. The hotel’s restaurant serves local specialities cooked in a traditional stove. The lively town of Chersonissos is 11.2 miles away, while the city of Heraklion is at 23.6 miles. 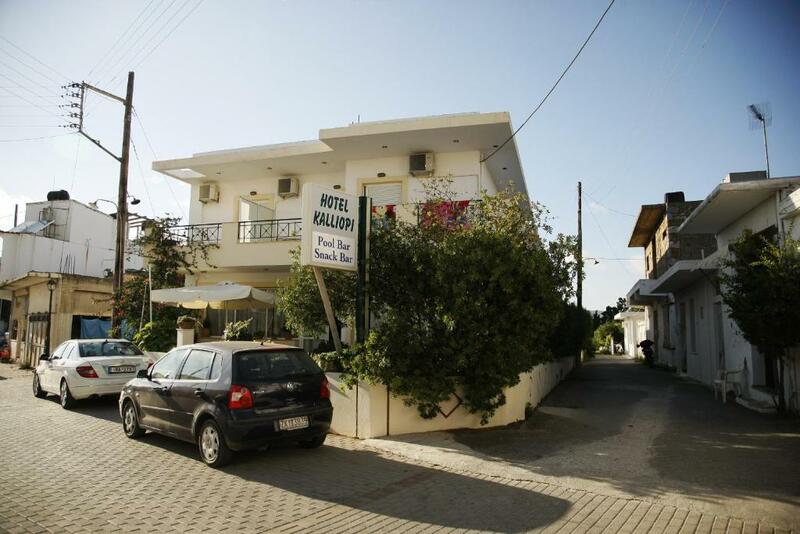 Kalliopi provides private on-site parking free of charge. This property also has one of the best-rated locations in Kastéllion! Guests are happier about it compared to other properties in the area. This property is also rated for the best value in Kastéllion! Guests are getting more for their money when compared to other properties in this city. 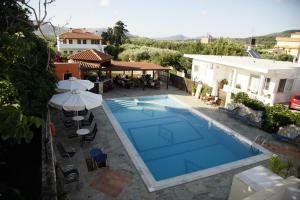 Kalliopi Hotel has been welcoming Booking.com guests since 5 Aug 2011. When would you like to stay at Kalliopi Hotel? Air-conditioned room with free WiFi, balcony and seating area. Air-conditioned room with free W-Fi, balcony and seating area. Room with free W-Fi, balcony and seating area. This twin room features a balcony, sofa and fireplace. House rules Kalliopi Hotel takes special requests - add in the next step! Kalliopi Hotel accepts these cards and reserves the right to temporarily hold an amount prior to arrival. The pool was not clean- "full of frogs" so not available for use. It was probably a bit cold anyway as we were visiting in October. Beds could have been more comfortable. Breakfast should be more varied during the days. Wifi works good only near pool bar or reception desk but it wasn't really problem for us. Nothing to complain about. Maybe a kettle in the room? The hotel is in two blocks with the pool and snack bar in between. The front block has air con, the rear block, where we were, does not. We live on Crete so we are used to the heat but there was no breeze and even with the windows open all night it was still too hot . Can't understand why the guests were not in the front block ! We thought breakfast was a little sparse - a fried egg,some sliced tomato and a slice of cheese. Bread with a small dish of jam. Second day was the same but with a small dish of yoghurt and honey. Breakfast is served to you.Minor things that did not spoil our stay ! Difficult to find (a disaster for my Garmin which has brought me in front of the military airbase). Wi-fi didnt work (I believe that they will fix the problem).